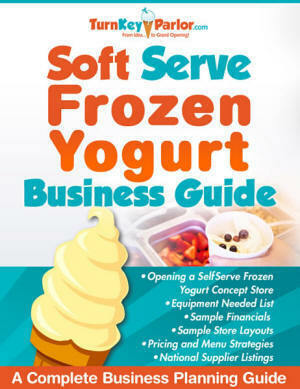 Frozen Yogurt University is currently being upgraded, but for now, we can offer you this great FREE eBook below. Pricing – How much does the product cost me? How much should I charge? What is a good location? Which locations should I stay away from? Get the Business Guide FREE Simply Enter Your Name and email address into the form on the below to download it immediately! Why do we give it away? Is there a catch? No, no catch here. We simply figure if we provide great info without trying to reach into your wallet, you will eventually purchase equipment from us. Simple concept. We help you make an educated decision on whether this is a business that you want to get into, and if it is, you reward us by becoming our equipment customer.